Srixon U85 utility irons feature a compact, hollow-body construction designed to be longer and more forgiving than traditional long irons. 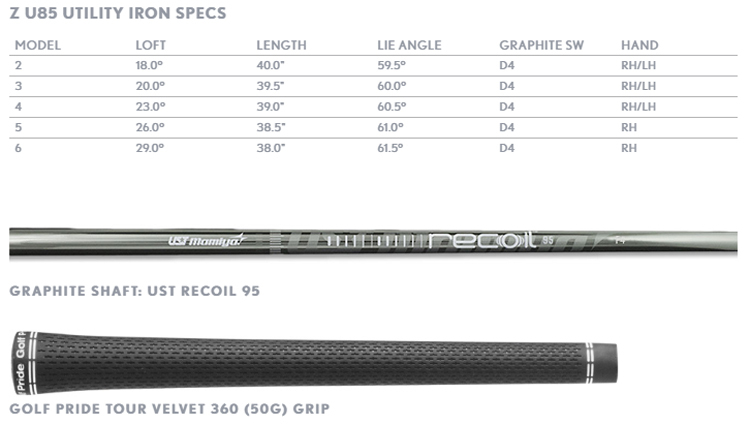 The body is forged from incredibly soft 1020 carbon steel and combined with a high-strength SUP10 face insert for the soft feel you want and the distance you need. 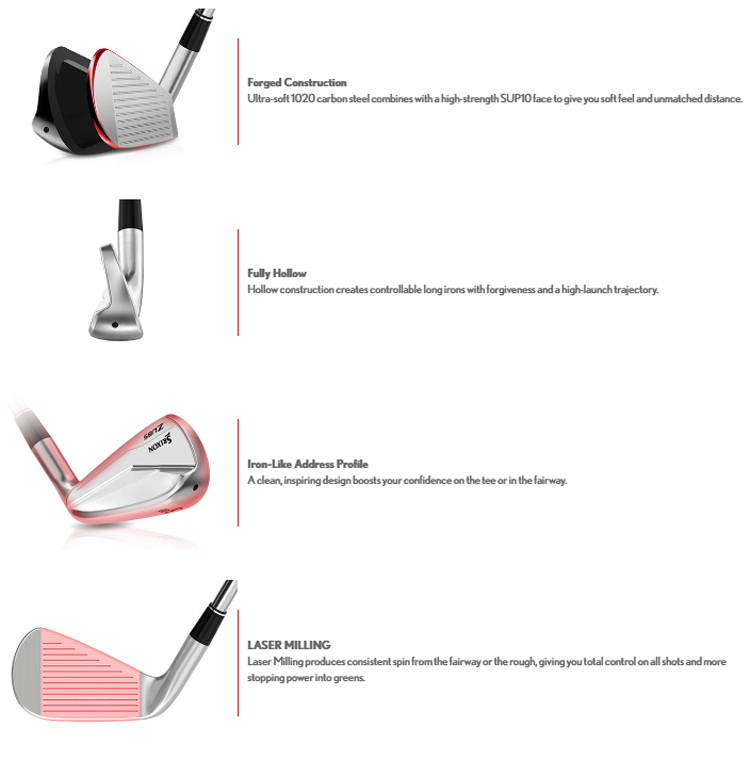 By creating a hollow club head, these irons are more controllable with forgiveness and high-launching trajectory.At address, these clubs have a clean, inspiring profile like an iron to boost confidence on the tee or in the fairway. Srixon's U85 utility irons are ideal for golfers who want more control, distance, and forgiveness from their long irons with signature forged feel.